A monotype is any type of printmaking where the end result is a unique artwork, a one-off. I manipulate very thin layers of oil-based pigment on a flat, non-porous surface (like Perspex, aluminium sheet or Formica) and take a print from this onto a top quality lightweight paper. Then I clean the plate and the image disappears. The only record left is the unique print. I am always sketching and I have thousands of drawings done over the years. The drawing style I use most is the ‘continuous line’ method, where I keep the pen on the paper without taking a break, hardly looking at the paper. 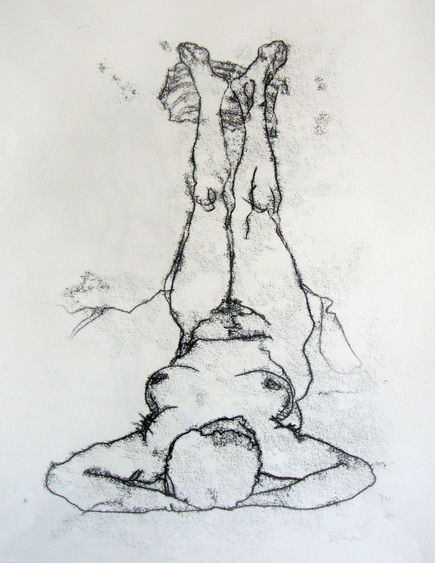 This technique is great as the basis of a linear monotype. To buy any of these prints please click on the individual artwork and email me with your contact details.